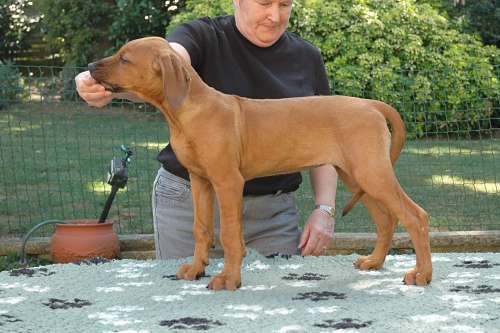 At just nine weeks of age Tiffany joined us from the Neelanjali Kennel to become the latest addition to the Lilongwe pack. 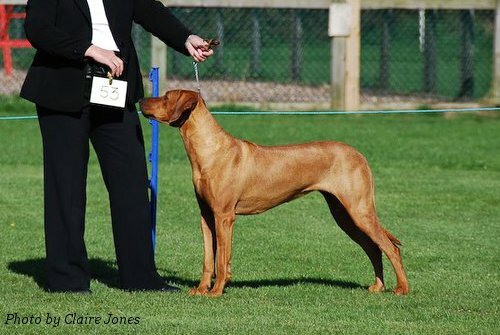 When we had heard that Ruby (Adanamira Bahiyah), who is a half sister to our Phoenix, was being mated to Adam (Nyassa Adam) we felt that the resulting puppies had to be worth a look. We were not wrong, they were! There were some stunning girls to choose from and we just couldn't pass up on the opportunity of having one. After many visits to see the pups, at just nine weeks of age Tiffany came to join us. She has fitted in extremely well. Despite being admonished a number of times by her pack members she never takes umbrage and is quite prepared to bark back............... at a safe distance of course!!! Our only regret is that she didn't get to meet our lovely old Rosko, he loved puppies and was always happy to play with and put up with them. Our thanks to Jackie and Gary at Neelanjali for entrusting this bundle of mischief to our care, we think she may just have a little of Grandma Farrah's bossiness about her! !